This is often a pivotal question behind financial stress and a driving force for financial planning. Not surprisingly, a flood of professionals, tools, and products exist to address such profound fears. Each one provides varying methodologies, calculations, and solutions to tackle this all important question. However, the road from inquiry to destination is uncertain and ever-changing. The reality is that today's answer will be different than tomorrow's and that any response needs to be dynamic and adjustable. Imagine for a moment that you were in Washington DC and needed to go to Boston. Consider the option of using two different maps to follow in order to reach your goal. The first is a map that includes printed directions while the second is a Global Positioning System (GPS). Which one do you choose? Not surprisingly, I endorse GPS because it can precisely determine your location, your destination, the best route, and can easily reroute due to traffic or a change in plans. A travel GPS knows exactly where you are and where you are going. To map your financial goals, you need as much actual data as available. Even small variations in known data can have a tremendous difference from an estimate. For example, take 1 million dollars compounding at 5% per year versus 6% for 30 years. The difference is a whopping $1,421,549 between the two totals. Similarly, disparities in actual cash flow (net result of income and expenses) as compared to estimated cash flow can be just as significant. Such differences are also common when applying an estimated universal tax rate (such as 25%) instead of recording actual effects for each taxable event or how your taxable income may change over time. When you use a GPS, it can give you directions for either using or avoiding tolls. Likewise, your path to your financial goal is influenced by a change in either income or expenses that needs to be understood. Numbers will look rosier if you earn more or spend less, and of course vice versa. However, any change to improve outlook will have some consequence. If you aim for higher investment return you assume more risk. If you cut expenses, something is sacrificed. It is important that you understand completely the effects of all the choices you make and that you regularly readjust your directions. For example, if you no longer feel comfortable with your intended rate of return because of the implied risk, consider a different path with reduced expenses in exchange for a more conservative market portfolio. 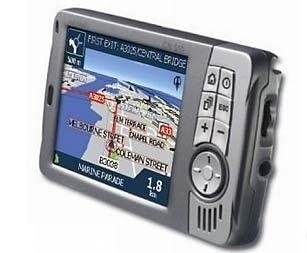 A good GPS will regularly update important information vital to your destination. Such information is critical to determining not only your actual financial position but whether conditions have changed to alter your route. For example, if you follow historical rates of return, (say of the S & P 500) you'll notice returns may look nothing like the assumptions you may have used (such as 6% annual return). The past 5 year returns of the S & P 500 were 13.6%, 32.39%, 16%, 2.11% and 15.06% in 2010 with a 5 year average of 15.45%. In the same period, consider your own personal fluctuations in income and expenses, especially unanticipated expenses and then compare this to your original projection. The point is that as assumptions become realized, you have an opportunity to test your initial projections, identify your new financial position, and then determine whether you would like to make changes in either the projected path or your financial goals. Hypothetically, if you knew now that upon reaching the half-way point to your financial destination that you would have more than enough, would you make any changes to your goals? As is the case with any road trip, destinations can change and the GPS can recalculate and blueprint a new path. Likewise, for a variety of reasons, you may change your own financial goals, and sometimes, they can change due to unforeseen circumstances such as a debilitating medical condition or some other life changing event. It is truly complicated then to answer the question "will I have enough?" However, if you used real numbers, adjusted your path based on your personal values, and regularly updated your data, such instances can be handled. In fact, such adjustments not only reaffirm your ability to reach your financial goals, but also gauge the range of your financial independence. Determining financial independence is not just whether you can achieve a particular goal, such as a certain lifestyle in retirement, but the extent there is flexibility to alter such goals. Then, from any location you set forth, you can be confidently on your way to your intended destination. There are a variety of methods you may use to receive your financial feedback; a financial professional, a software program, or an excel spreadsheet. But if you hope to attain a confident roadmap to your financial future make sure it has all the features of a GPS and that either you or a professional knows how to operate it before you find yourself following an outdated print of irrelevant directions. Questions or comments? Email me at [email protected], call the office at 703-821-2000 ext. 212, or get me on my cell phone at 301-704-2696. The information is the personal views of Jeffrey Lippman and is not necessarily indicative of those of Capitol Securities Management. The information contained herein has been compiled from sources believed to be reliable; however, there is no guarantee of its accuracy or completeness. Any opinions expressed here are statements of judgment on this date and are subject to certain risks and uncertainties which could cause actual results to differ materially from those currently anticipated or projected.